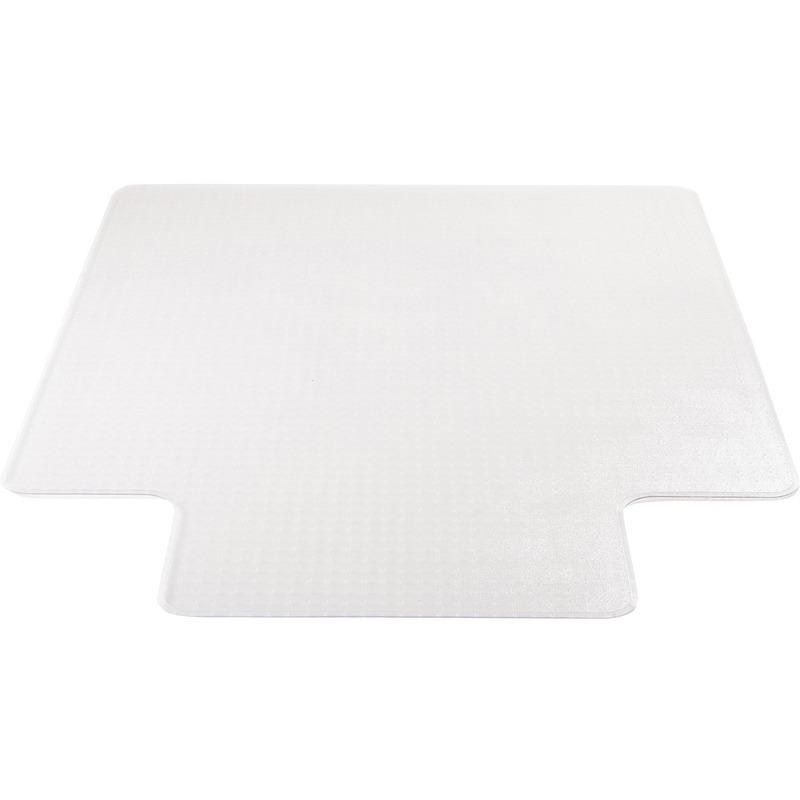 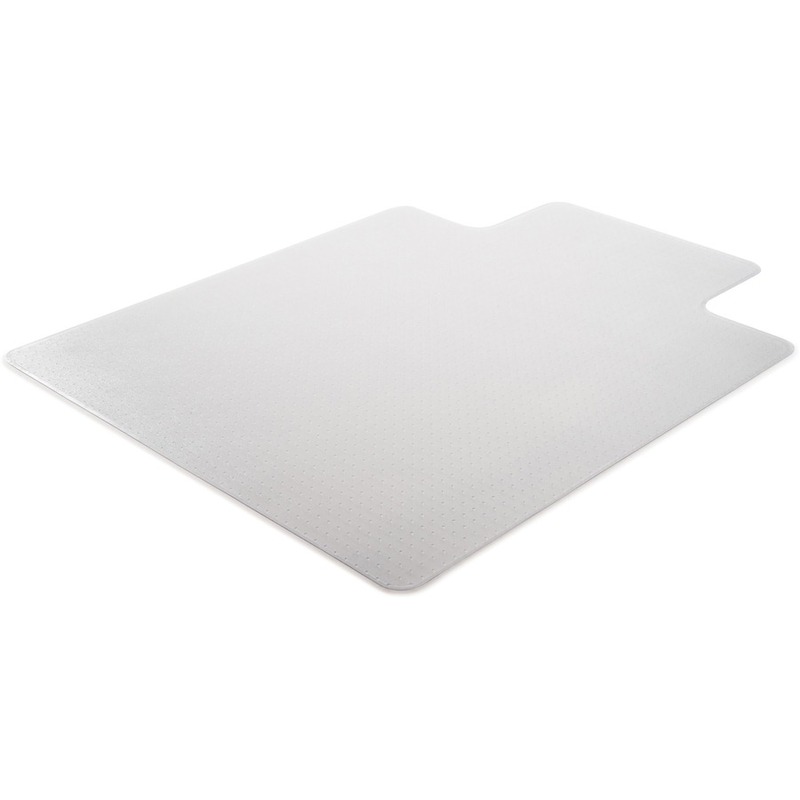 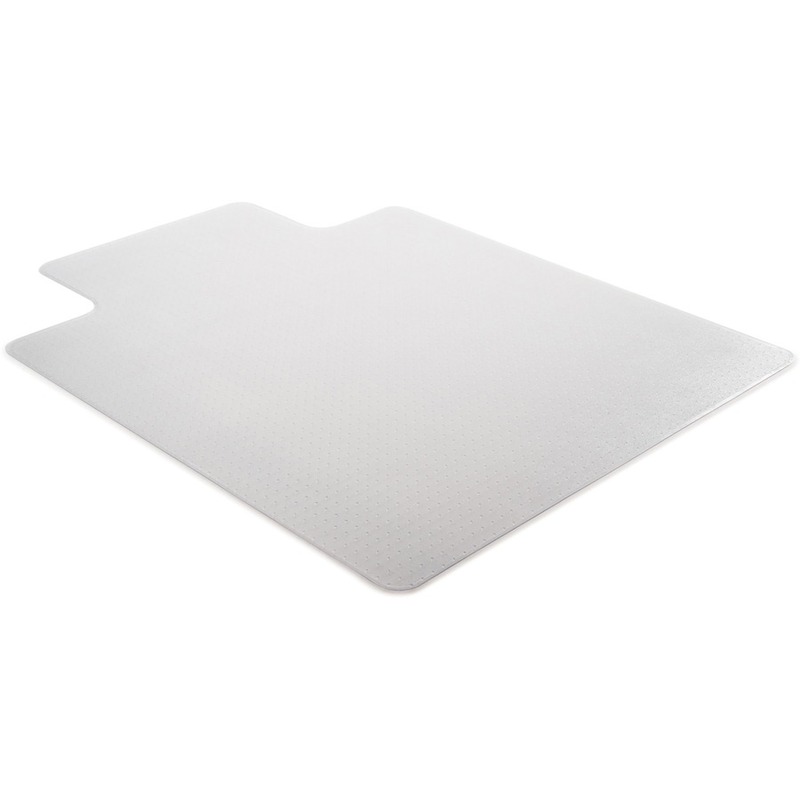 Clear rectangular chairmat will extend the life of your carpet by spreading out the pressure from your chair casters. 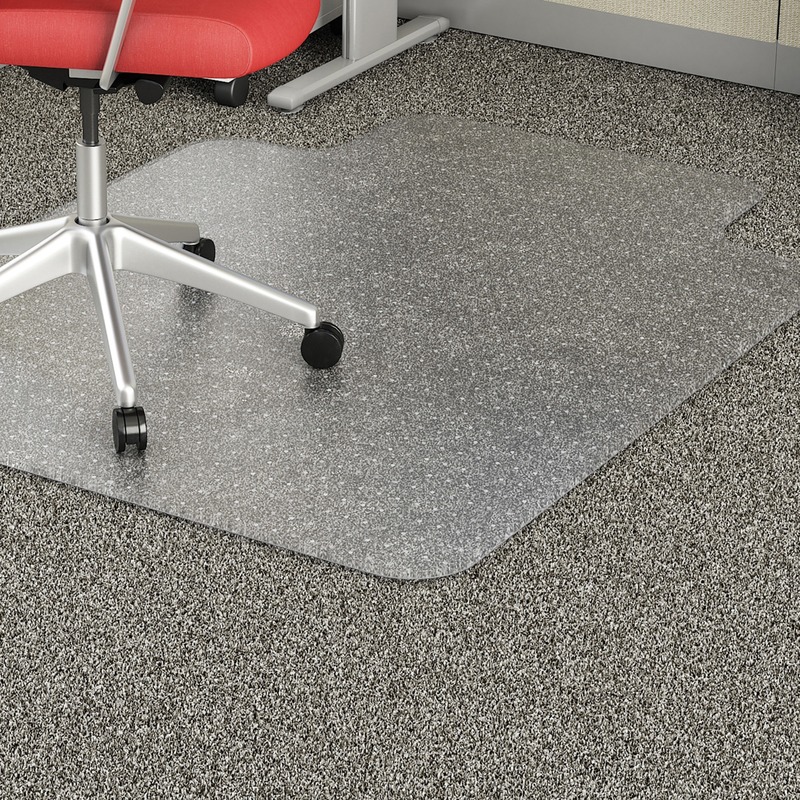 Will also reduce fatigue by allowing easier rolling across your work space with less back and leg strain. 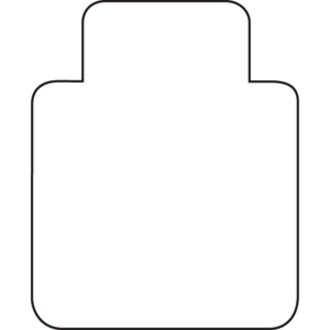 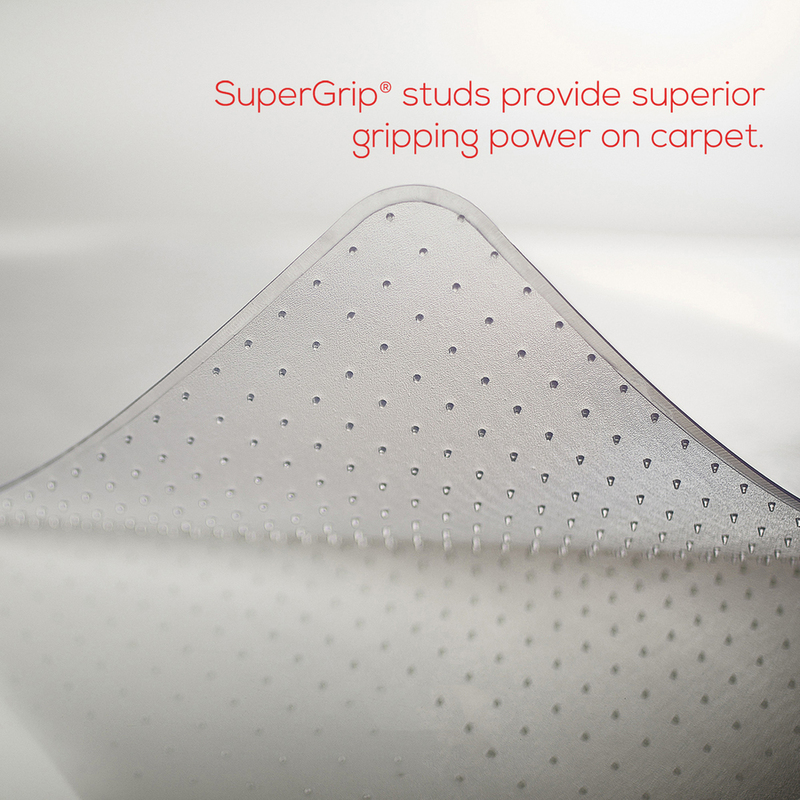 Designed for use on medium plush 3/4" thick or less carpets including padding. 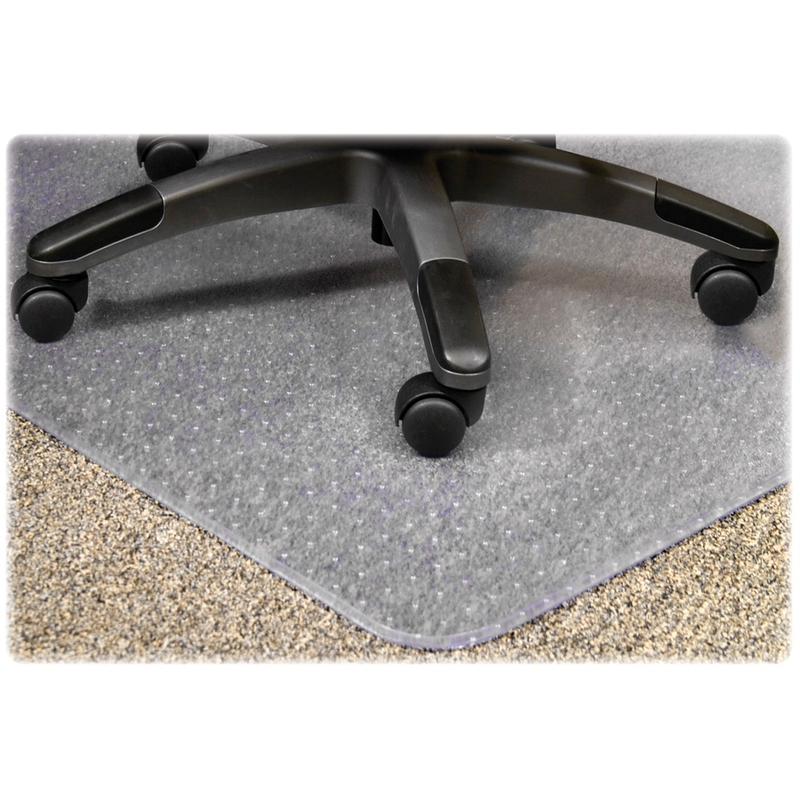 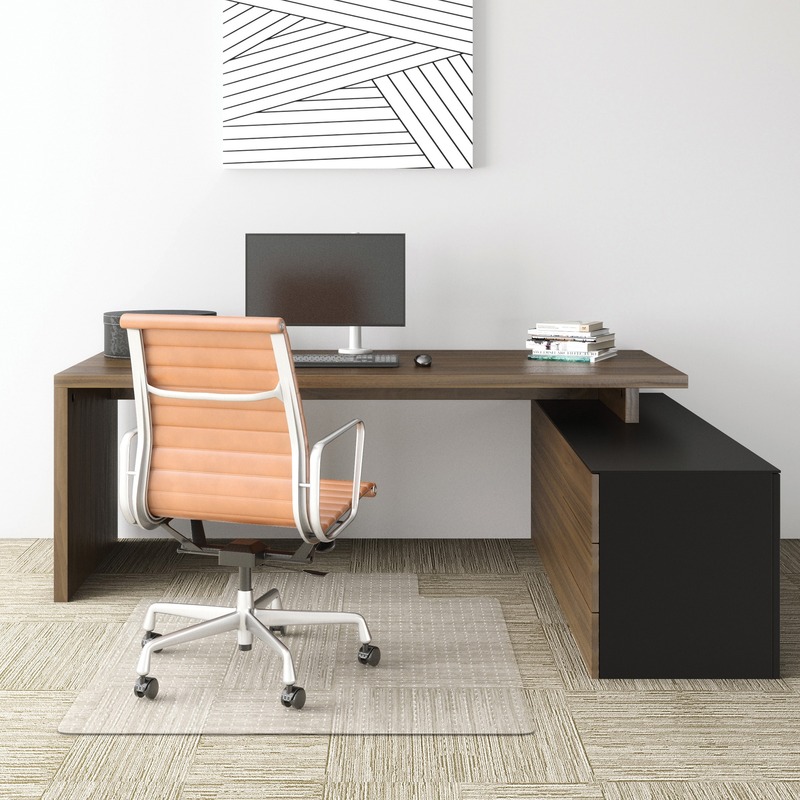 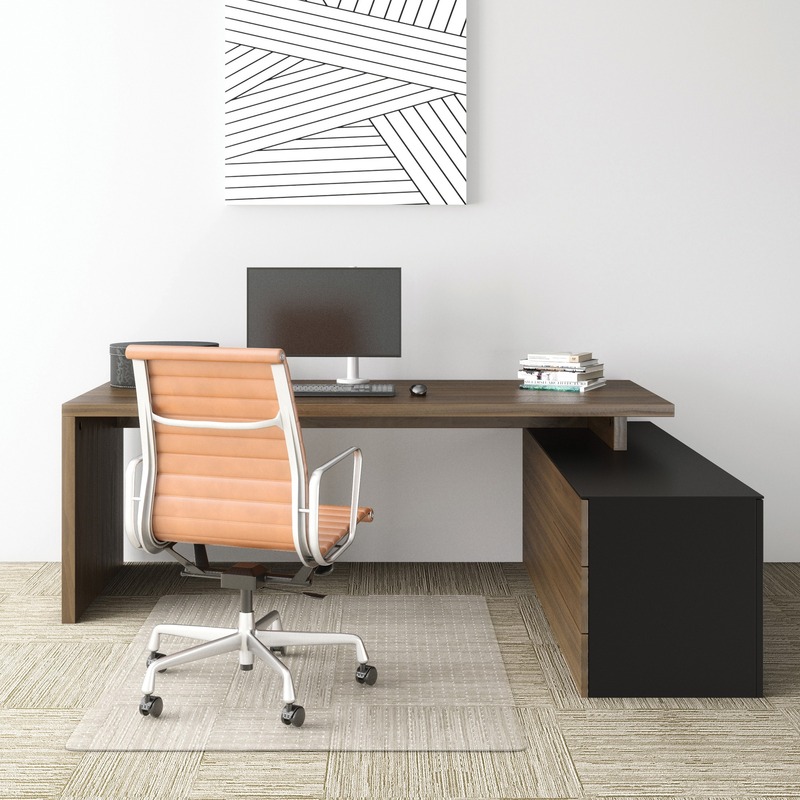 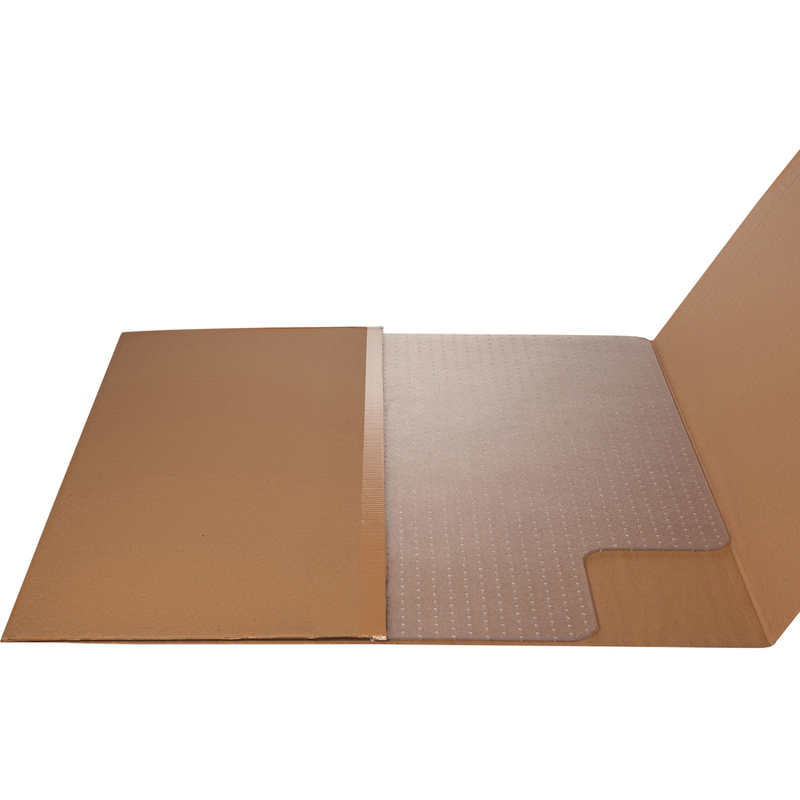 Provides a studded back designed to achieve a strong grip without piercing or damaging your carpet backing, smooth edge for smoother rolling on and off your mat, and a 19" wide x 10" deep lip to cover the carpet under your desk when your chair is pushed all the way in. 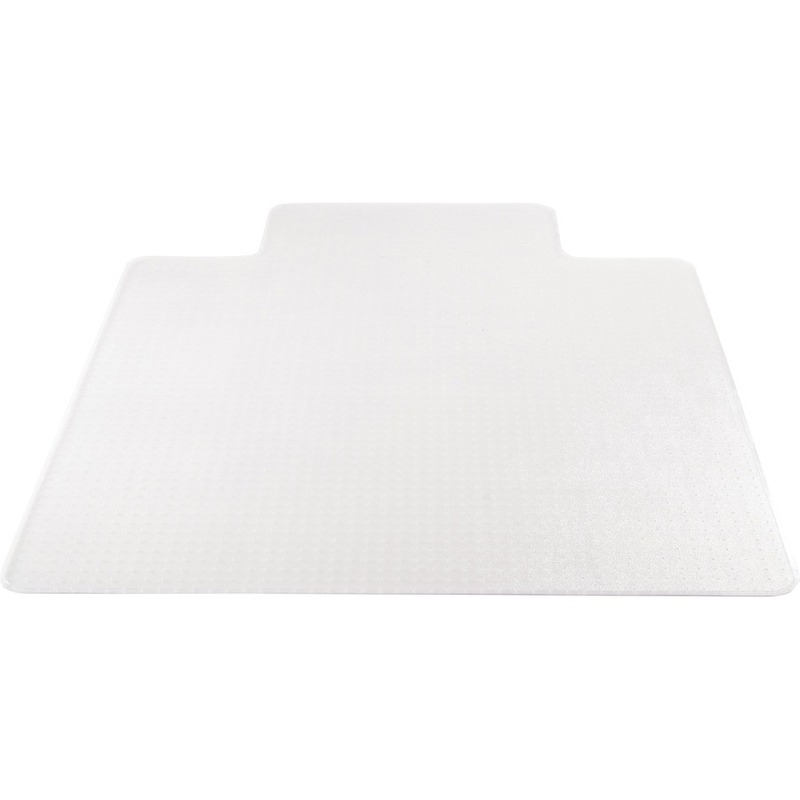 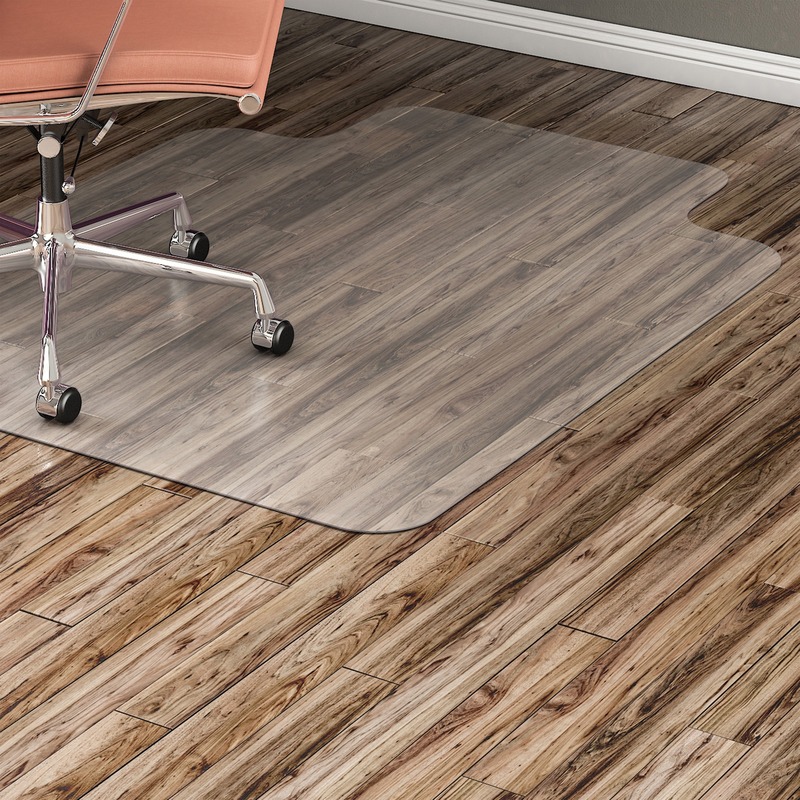 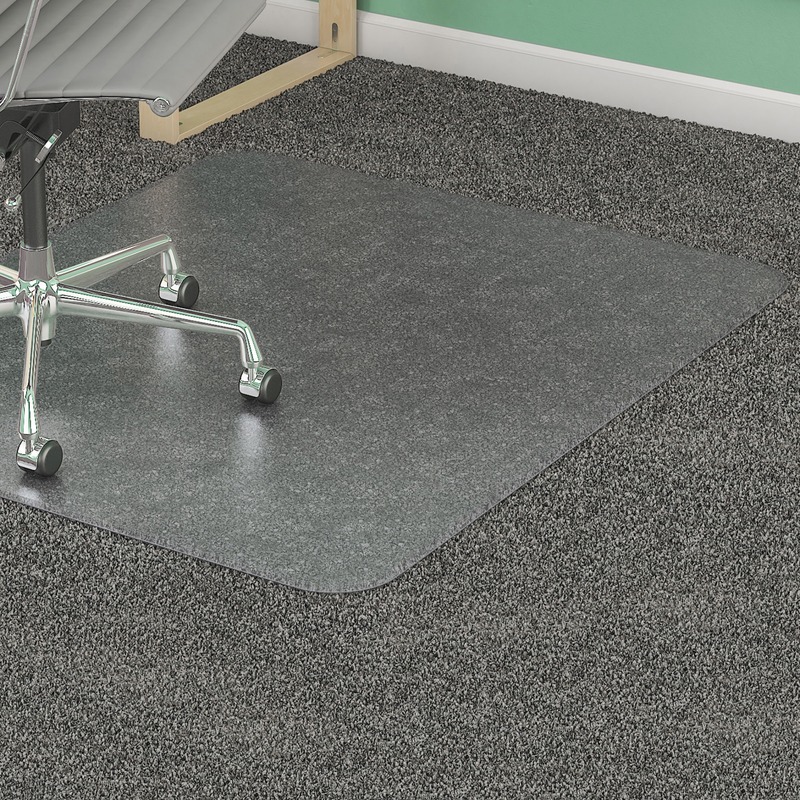 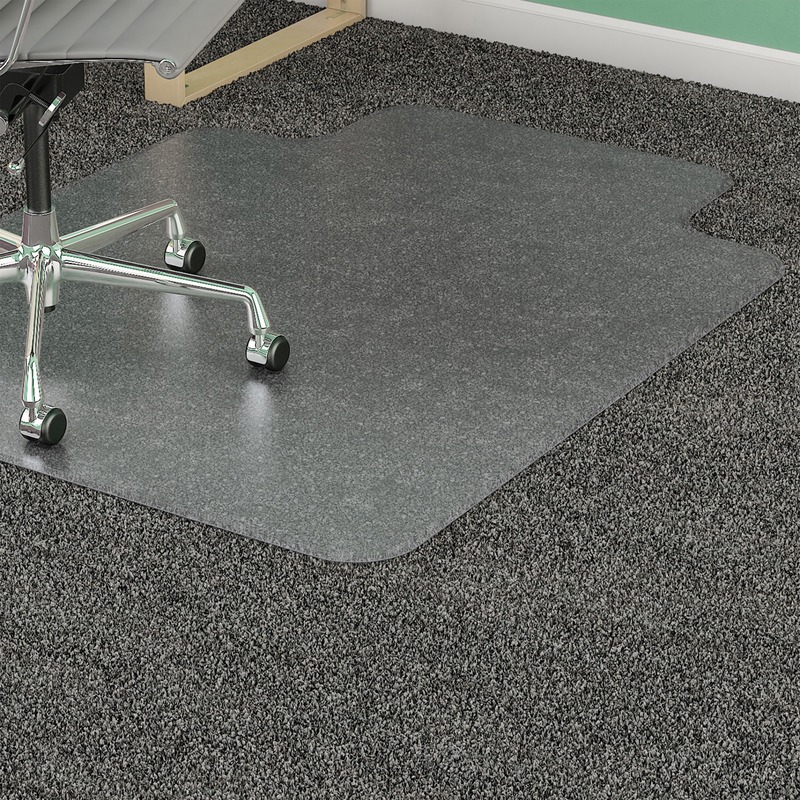 Crystal-clear chairmat lets the beauty of your carpeting show through and is made of heavy-duty material to stand up to years of daily wear and tear.